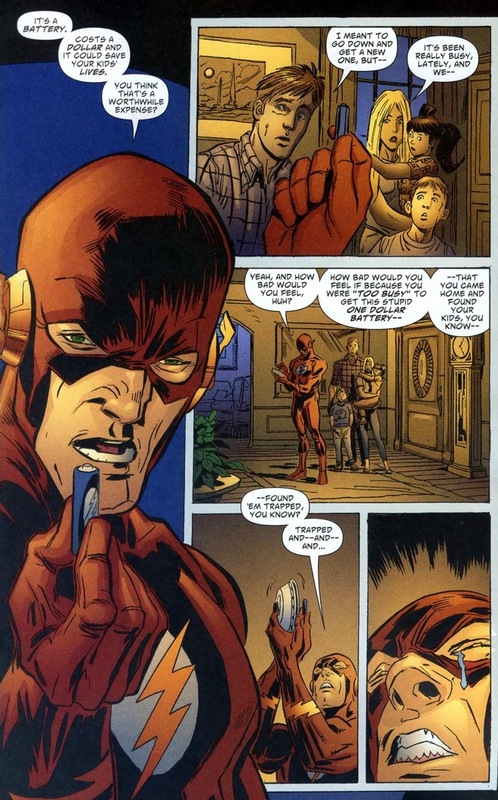 We continue our depressing series with the Flash (real name Wally West), who despite being probably the most lighthearted member of the league (assuming Plastic Man isn’t around), takes emotional turmoil like a broken ankle — bunches of tears, whimpers of despair, and a dramatic collapse to his knees. 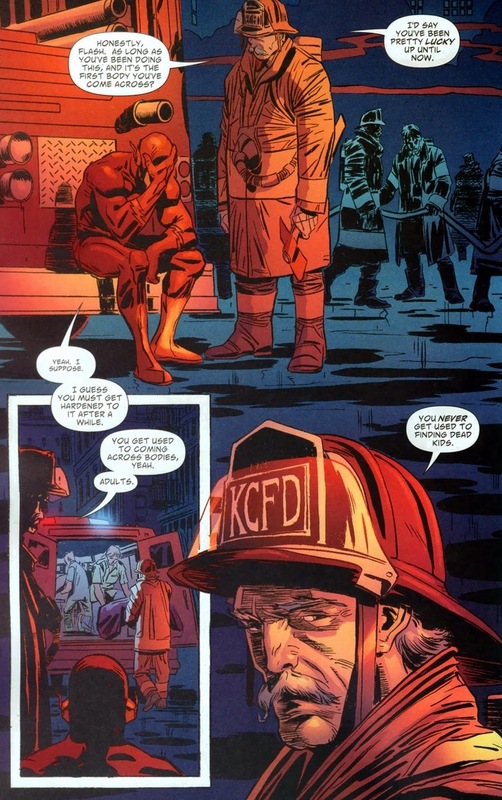 While superheroes are supposed to be tough and unflappable and all sorts of heroically masculine traits, the importance of a superhero’s traumatic breakdown cannot be overstated. Especially in DC, where I’ve mentioned before that the big timers tend to lack that essential fatal flaw that makes them relatable (Batman excluded because he’s irreparably emotionally damaged). 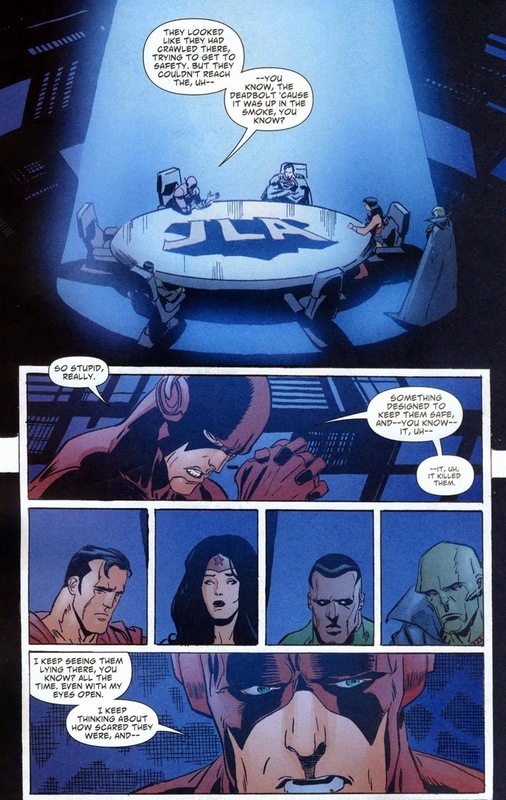 To have these moments where superheroes fail so brilliantly (or witness something similar) allows us to like them more — look, I’m aware I can’t kick bad guys into space, but it’d be nice to know that at least my fictional heroes also stub their toe on the coffee table once in a while. 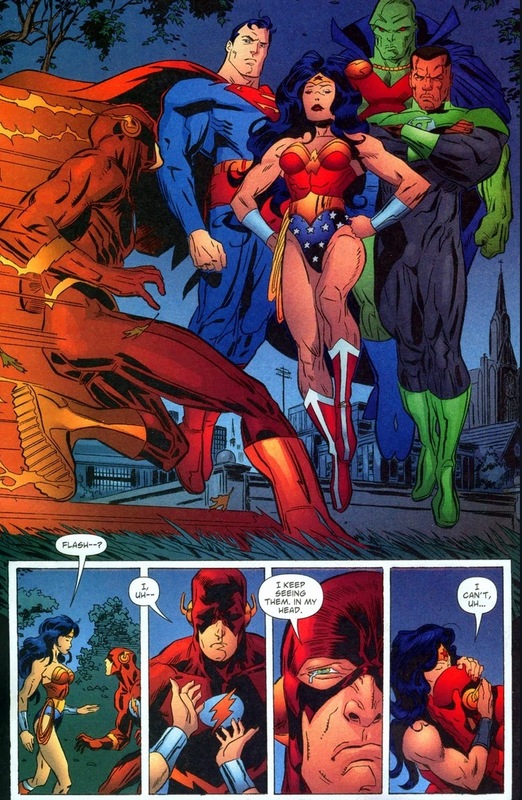 Today let’s enjoy JLA #102, written by Chuck Austen and drawn by Ron Garney. 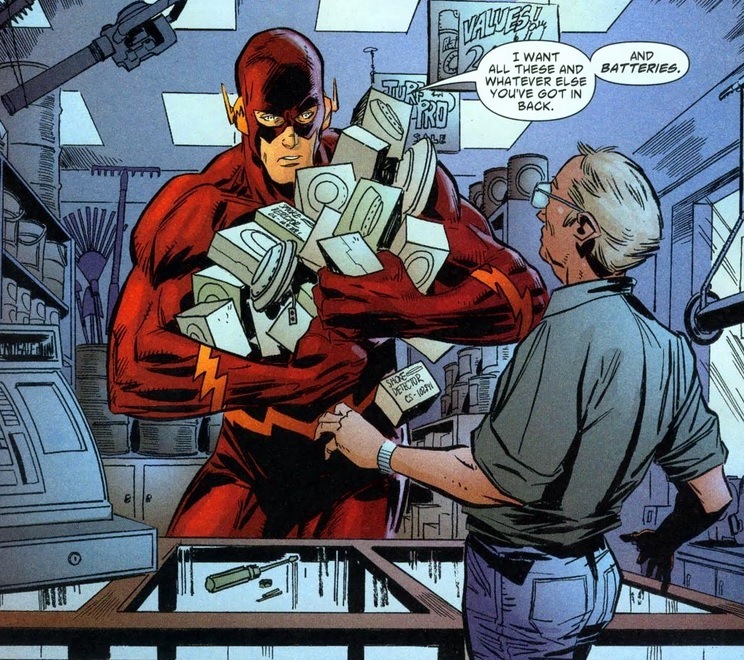 I’m no physicist, but the Flash has shown more than once to be faster than the speed of light when he attempts it. 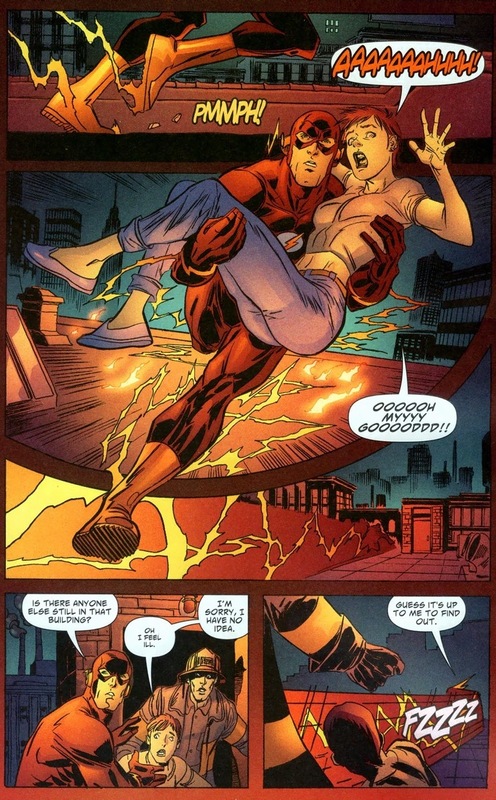 I assume that speed would turn that woman into a civilian goo, but the Flash has the potential to be insanely powerful given the right writer. I sometimes find it odd to believe he even has a rogues gallery considering he can circle the planet in seconds, vibrate through walls/projectiles, and process information quicker than most computers. 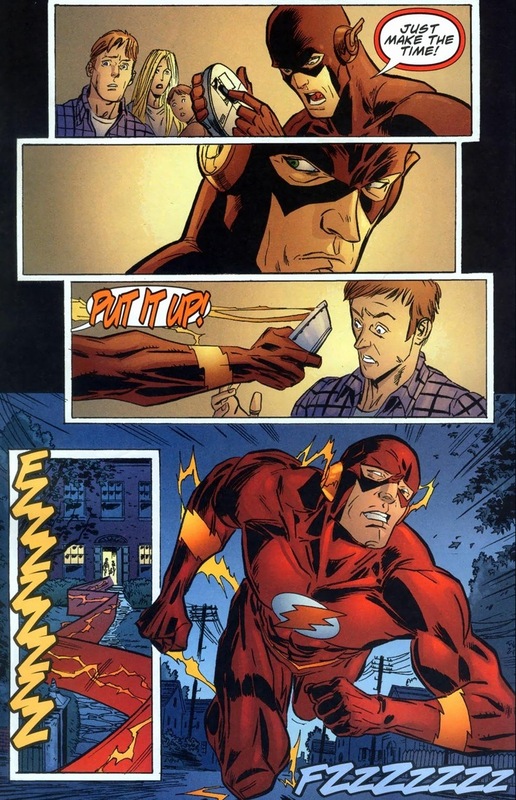 I mean, he fights Captain Boomerang every once in a while, who has the superpower to throw deadly boomerangs. At the man whose top speed breaks the space-time continuum. Dead children’ll ruin your day. 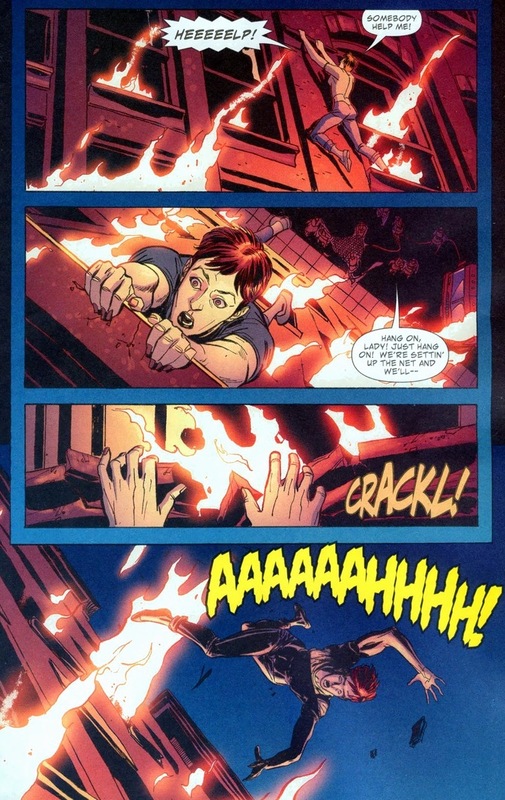 Our hero possesses a superpower with endless possibilities (for instance, dodging boomerangs), but he can’t travel back in time to save youngsters from smoke inhalation. Actually, I think he can time travel, though the DC universe did reboot because of the Flash’s time-tampering (literary-wise anyway). Remember that South Park episode where the kids pretended to be superheroes? They would stand outside supermarkets and sell baked goods to raise money for all the Cthulhu destruction. 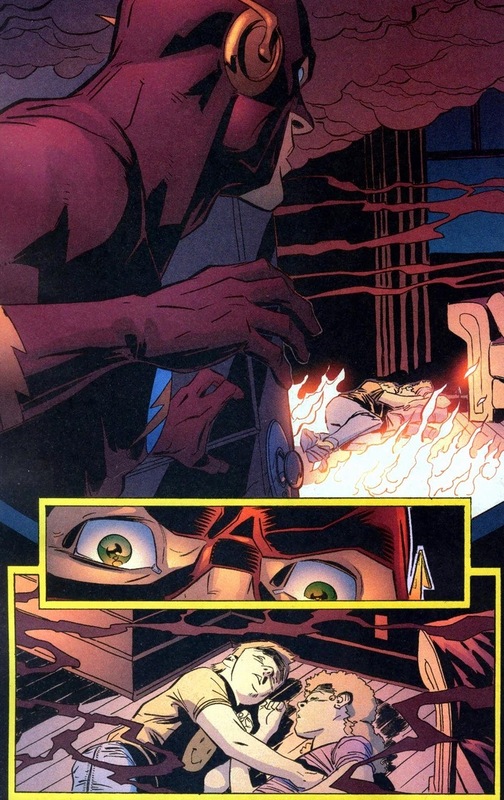 Flash does something similar, though with less cooking — I think he’s probably been around enough enough heat for a few days. 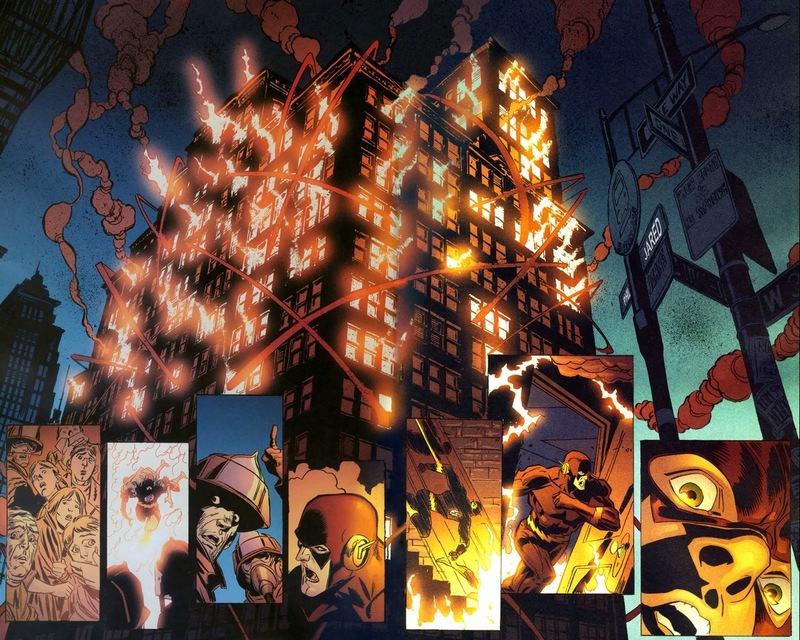 Ever want to see the Flash lecture civilians on proper maintenance of smoke detectors in a canon comic? Commence the breakdown. If these next few pages aren’t a boomerang that shatters your soul into hundreds of tiny tear-soaked pieces, you’re wrong. So wrong. Y’see, I want to make light of the situation because I imagine we’re a bit uncomfortable right now. I want to make Captain Boomerang references until my fingers go numb from typing (his real name is Digger, by the way). 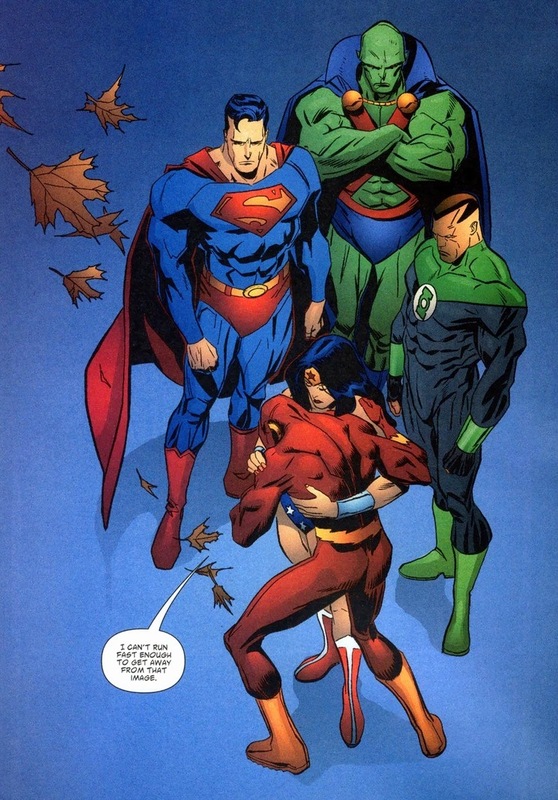 But luckily, we’re at part two of this arc, so at least Superman can give him that invulnerable, muscular shoulder to lean on. 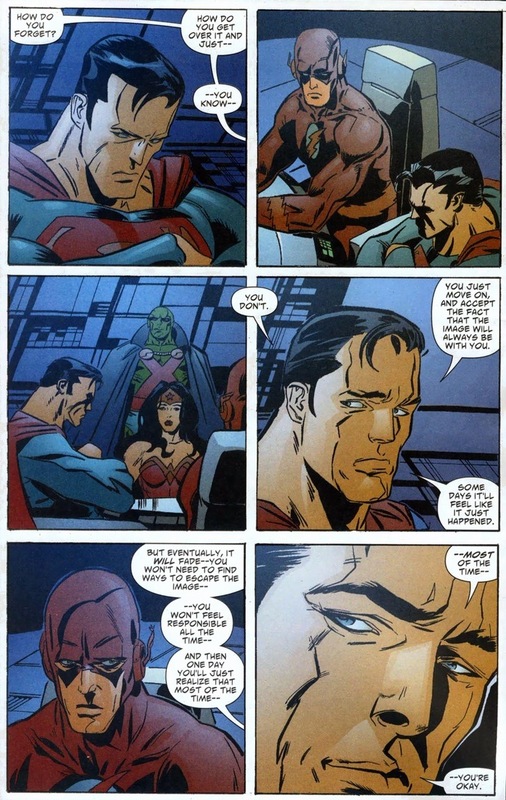 The Man of Steel’s become emotionally healthier since a good twenty pages ago. 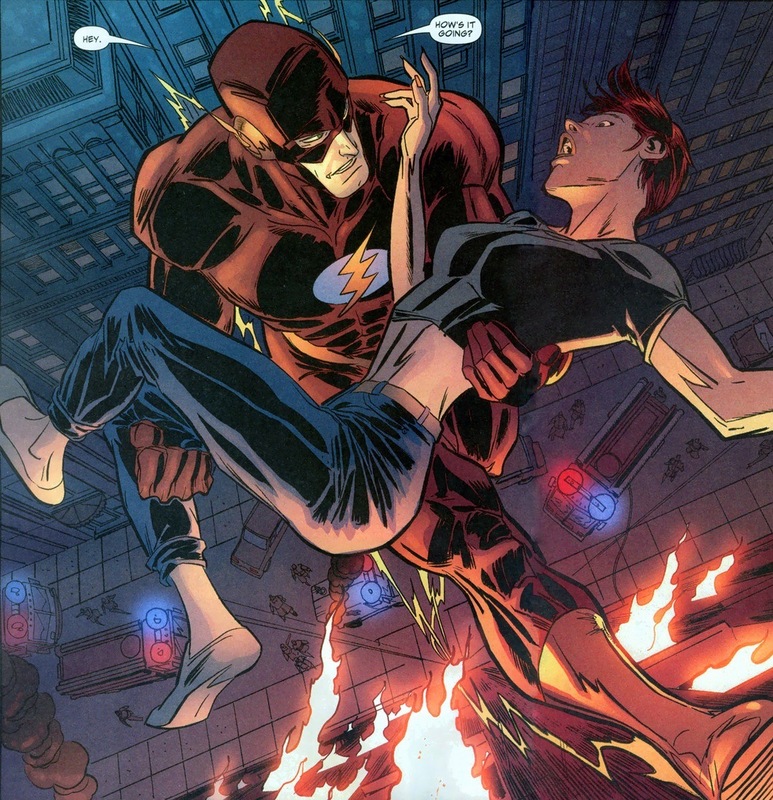 Off topic, but I really miss Wally West in the New 52. Green Lantern on Friday. Spoiler alert: it’ll be heartbreaking. I respect you for doing this. The entire site is beautiful.